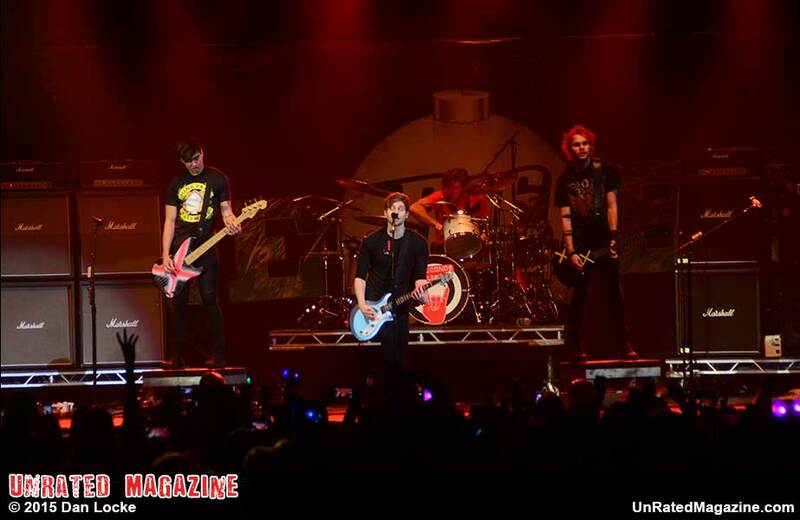 I started off the night at the sold-out B96 Jingle Bash with a two minute countdown to the first performance of the night, Luke Hemmings (rhythm guitarist and lead vocalist), Calum Hood (bassist and vocalist), Ashton Irwin (drummer and vocalist), and Michael Clifford (lead guitarist and vocalist), but you may know them as 5 Seconds of Summer. They began the concert by singing, "You Look so Perfect," and overall, they had an outstanding performance singing all of their top chart songs. I felt 5 Seconds of Summer really got the crowd going. Next on stage was OMI (born Omar Samuel Pasley); OMI preformed two of his most popular songs "Hula Hoop" and "Cheerleader" along with two additional songs. His songs were very catchy and had us on our feet the entire performance. After OMI, Hailee Steinfield went on stage; you may know her as an actress in "Pitch Perfect 2" or her hit single "Love Myself." Hailee Steinfield's performance had such a positive message, telling the crowd to "love themselves" and an important message for the audience which included a lot of teenage girls. Pentatonix (PTX) is a capella group, the members in this group are Avi Kaplan (bass), Scott Hoying (baritone), Kirstin Maldonado (mezzo-soprano), Kevin Olusola (cello), and Mitch Grassi (tenor). PTX performance was astonishing, although sadly they were the only group to sing a Christmas song, and actually besides their one Christmas song and the title of the concert there was not too much in the way of holiday decorations for a holiday themed concert event. After Shawn Mendez, Jason Derulo showed off his singing and dancing skills, along his eight-pack when he whipped his shirt off, used it as a rag, and threw it out into the audience where two girls fought over it as if their lives depended on it. Derulo truly stole the show and also had the longest performance of the night. For the final performance of the night, Demi Lovato went on stage. Lovato slayed her new album "Confident," and ended the night ironically with the song "Cool for the Summer." It was so nice to see all of these amazing and incredible performers share a stage, 5 Seconds of Summer, OMI, Hailee Steinfield, Pentatonix, Shawn Mendez, Jason Derulo and Demi Lovato.